Preferred choice by homeowners. Hyperikon proudly presents our wonderful Hyperikon® LED BR30 bulb fitting any and all residential needs. Our BR30s are tailored to exceed your expectations when it comes to ambiance and color reflection performance. The bulb can be ordered in BR40-edition as well. Hyperikon is proud of its premium BR-Series of LED Bulbs, setting the standard for excellence in LED downlight. 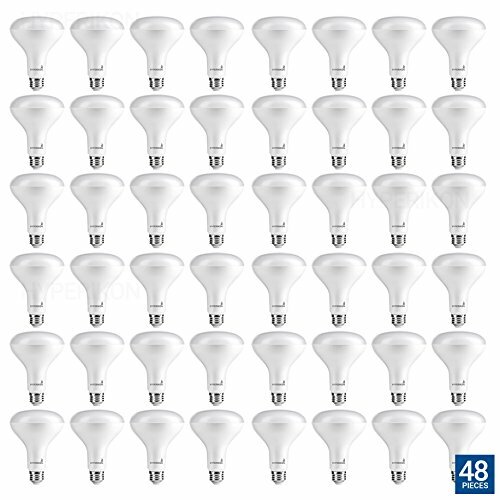 INSTANT SAVINGS - Reduce your energy usage and save on your electricity bill when you use 9W LED BR30 Bulbs as 65W replacements. BRIGHTER & SAFER - Our BR30 65W bulbs are brighter AND safer: illuminate your space with 600+ lumens, and rest assured knowing our LED bulbs are shatterproof and contain no mercury. CUTTING EDGE TECHNOLOGY - See vivid real-world colors all around you. Hyperikon's proprietary CR84+ technology display maps colors from a wider palette, faithfully reproducing every shade and hue in your surroundings.